The candidate scan found too many records. I want the application to forget about previously found records. Which records should be deleted. Which record statuses should be affected. Default parameters delete all visible skipped and pending records. 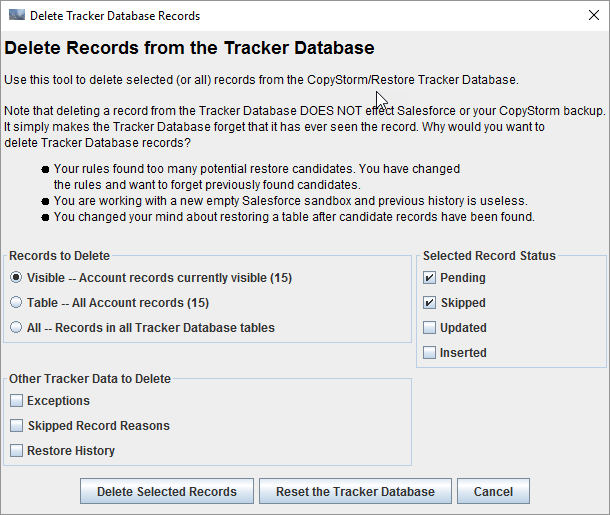 The “Other Tracker Data to Delete” section allows other tracker database information to be deleted.